This will probably be my shortest post ever. Yes, there's some famous faces like deejay Jean Danker and blogger Dawn Yang and Rosanne Tang, together with a group of male models serving you finger food snacks and drinks, and another cute girl handing out Magnum ice creams... But oh well, not a big fan of crowds. And after getting what we want to at 20% discount, there really wasn't much attraction left for both of us, plus the crazy crowd with constant jostling from strangers is a huge frustration. Merp. A was basically on a shopping spree, picking up things rather randomly (she got a grab bag of 4 or 5 lip products and then went on to get another 2 lippies from Shu Uemura... and some other stuff. And then I was totally spoilt for choice. And tell you what, it's probably called Breakfast Scrub for a good reason. It smells so yummy, I felt like eating it when I twisted the cap open to use it for the first time. It smelled like sweet honey, maple syrup mashed up with some bananas and some buttery crumbly biscuits. Oh, I don't know how to describe the smell but it smelled so delicious. It might just turn some people off, eg. my mum. But if you're a sweets person, chances are, you'll love this scent. The scrub is pretty creamy with bits of (probably) oats and sugar inside to act as the exfoliating beads. There's a high concentration of the scrubbing beads to satisfy those who loves the feeling of having the exfoliating beads rubbing against your rough skin, and yet mild enough to not create this 'raw' feeling even if you scrub on with all your strength's worth. My skin felt moisturised and baby smooth, even though I didn't follow up with any form of body lotion. And then, let's move on to the door gift for the night. Guess what is contained within this super cute tin? Some adorably pretty kisses butter cookies! The strong whiff of buttery fragrance already made my tummy rumble the moment I lifted the tin and my mood totally brightened (was kinda lethargic after all the squeezing in the crowd) upon seeing these pretty cookies. But it would have been a lot better if they've used a thin layer of royal icing rather than a thick slab of fondant. Yes, this pink (and red at the bottom) fondant is what made these cuties so attractive, but let's be honest. A piece of fondant is probably the last thing you'll want to put inside your mouth. PS. Love Soap and Glory! You had me at "Cute girls handing out Magnum ice cream"! Was that for free? He he. The smell of the breakfast scrub had me so curious too. Haha, yup the magnum is for free! Sounds like a fun event! Sephora has some really good products. The butter cookies looks really cool. It also looks tasty. I like all the products of sephora but I am extremely passionate about scrubs because they do wonders to my skin, peeling all the dead cells off my face, making the skin shiny and soft. A great review! The cookies container is so cute. This event seems a good one.The butter cookies looks great too.Hope they'll be tasty as well. I try to avoid crowds as well so I understand you're coming from. Good that you managed to get a body scrub that you like! Is that really butter cookies, or it's a lipgloss.. Hahahaaa the kiss butter cookies are look good and make me hungry.. I like the packaging. Sephora beauty products are good and it's my new knowledge about it. Try to recommend to my daughter. I rarely go to Sephora and I'm sure it's a treat to be invited to an event there. It's hard though if it's a huge crowd and the last thing you want to happen is to be caught in the middle of it. 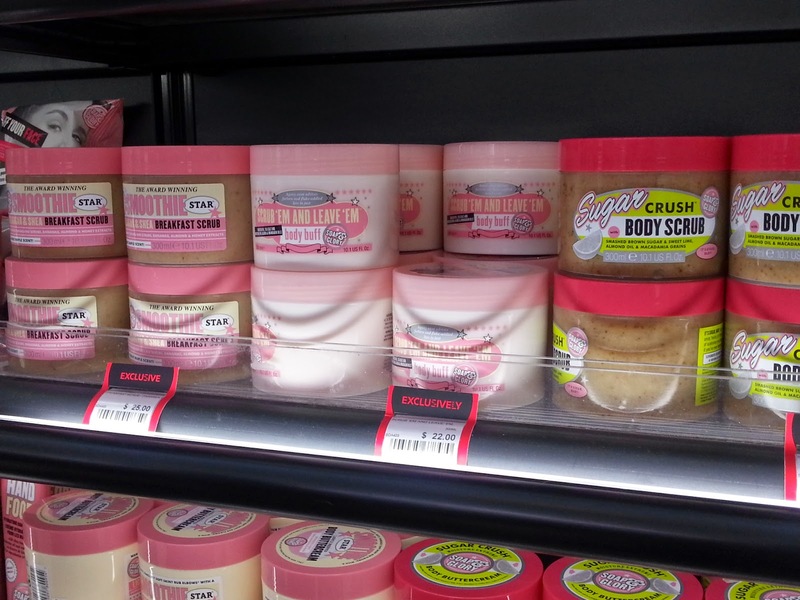 Love me a good body scrub as well. I prefer scrubs than body wash. Glad you found a nice brand to use! Wow, I love how the packaging looks like. Very interesting event. 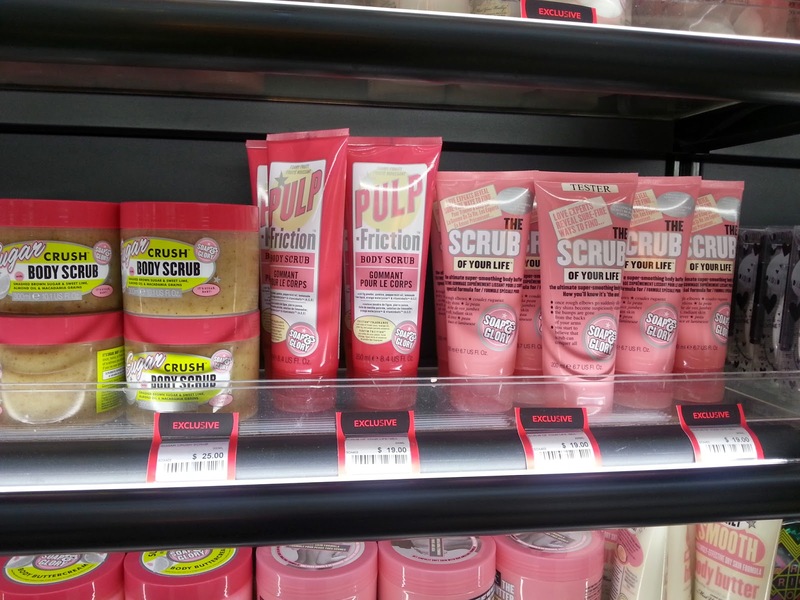 I love Soap and Glory products! I especially love the sweet smell of everything so we agree on that. I don't like fondant too, so good thing it was easy to take off.